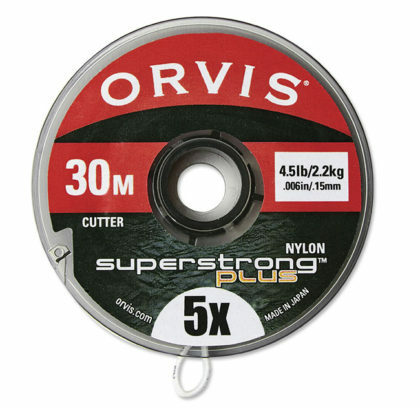 HOW DOES FLUOROCARBON WORK WHEN TIED TO SUPERSTRONG PLUS NYLON? Many anglers fish nylon leaders with fluorocarbon tippets. As with using straight fluorocarbon, knots are more difficult because the fluorocarbon is stiffer and does not draw tight as easily as nylon. 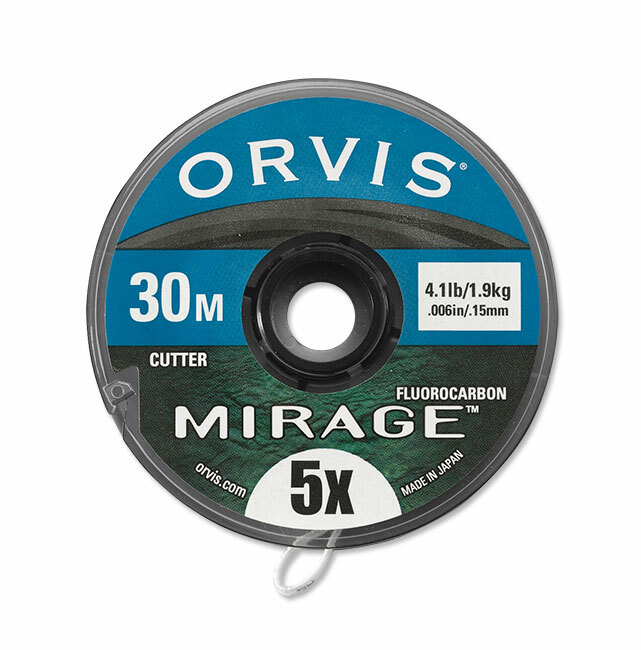 Still, Super Strong + works just fine with fluorocarbon if knots are carefully tied, wetted, drawn tight quickly, and tested—just as you would with any knots. You would not think the difference of .001” would matter in fishing, but it does in trout fishing, where you try to make your fly look unconnected and natural. We have all seen instances where 6X worked far better than 5X, even with the same fly, and it has everything to do with the smaller diameter having less influence on the drift of the fly as opposed to visibility. Additionally, a finer diameter tippet has more air resistance and lands with less disturbance on the water. This is not as important in streamer fishing for trout, bass, pike, and saltwater fishing—where the fly is pulled through the water by the angler and a smaller diameter offers only minimal advantages. But in these situations, Super Strong’s strength and abrasion resistance make it superior. 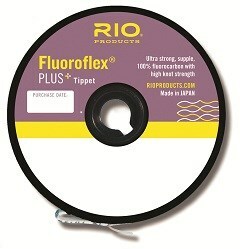 Shop Staff Notes: This is tippet material of choice for our Shop Staff and Guides. 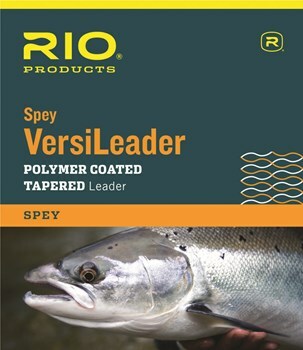 We use this excellent tippet material for nymphs as well as dries. 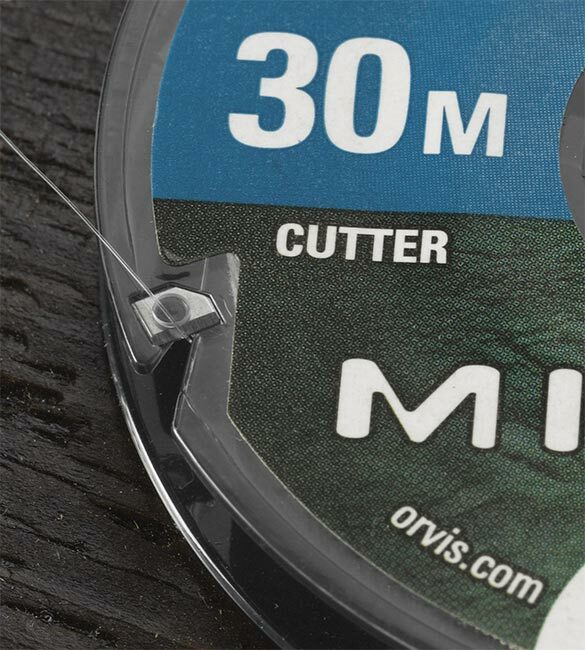 We realize that it doesn’t float well but it’s perfect when you add about 24″ of Mirage Tippet to the end of a SuperStrong Plus Nylon Leader, that last couple feet sits just in or under the surface film and completely disappears. It’s the perfect material for nymphs dropped off of dries. Knots up great and is abrasion resistant. The the MO, it’s work the extra cost for the added stealth.